Before Ladybug’s recital night, I had nightmares visions of her running from the stage screaming, “MOOOOMMMMMMMEEEEEEEE!”, and me promptly melting into an embarrassed puddle. I am glad to report that she stayed on the stage and did (almost) all of the dance moves she was supposed to at (almost) the right time. Whew! I feel like I’ve entered a new era– my kids doing things without me. 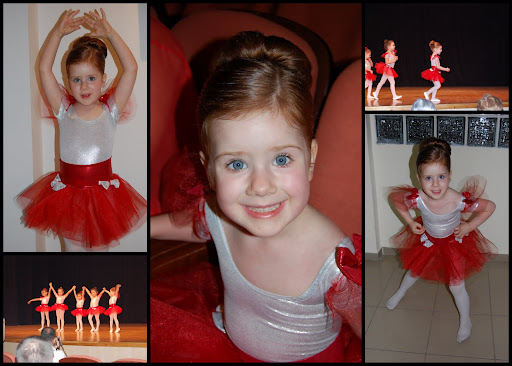 Ladybug attended practices, developed friendships with the other little ballerinas, (mostly) obeyed her teacher, practiced for a recital, and then performed on stage without me. As wonderfully amazing as it is to watch these little human beings I grew inside my womb grow into their own little people, it’s horrifying and ridiculous and annoying also. Is this motherhood? A constant wistfulness about the quick passing of time, and yet a breath-taking excitement as our little ones grow to big ones– tackling and conquering the world?